BIDS for the 2019 Magnesium Chloride Project will be accepted at the Teton County Engineer’s Office at 150 Courthouse Drive, Driggs, ID until 10:00 AM MDT on April 26, 2019 and then publicly opened and read aloud at the Teton County Courthouse. 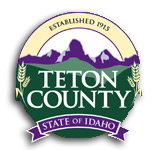 The Teton County Road & Bridge Department is requesting bids from qualified contractors for supplying and delivering liquid Magnesium Chloride to the Teton County Solid Waste Facility located at 1088 Cemetery Road in Driggs, Idaho. It is the intent of the bid documents to describe the work required to complete this project in sufficient detail to secure comparable bids.